Thank you to everyone who joined us for our Book of Lists celebration! Special thanks to our "Cask" sponsor UniBank, our "Growler" sponsors Mirick O'Connell, Nichols College and UMass Cancer Walk and Run. 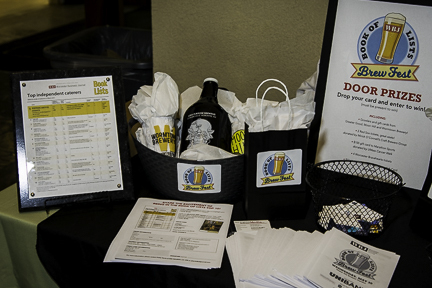 Big thanks to our craft brewers - Greater Good Imperial Brewing, Moon Hill Brewing Co., and Wormtown Brewery! WBJ’s largest issue of the year - 2018 Book of Lists is coming out on May 30 and we are celebrating! Don't miss this ultimate opportunity to network with professionals from the top companies representing an array of businesses in the Central Mass region. Register today! Whether you’ve made one of the coveted lists, or just want to network with Central Mass’ business elite, this special event is a unique opportunity to meet and mingle with successful entrepreneurs, C-level executives and community leaders. PLUS - be one of the first to get your copy of the 2018 Book of Lists - hot off the press!